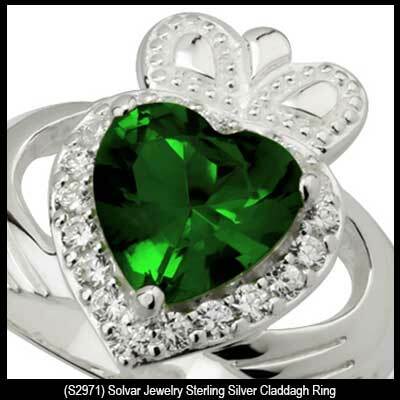 Women's sterling silver Claddagh ring features a green crystal heart. This sterling silver Claddagh ring features a large emerald green crystal heart that is surrounded by smaller white crystals. The women's Claddagh ring measures 5/8" tall from the bottom of the heart to the top of the crown. 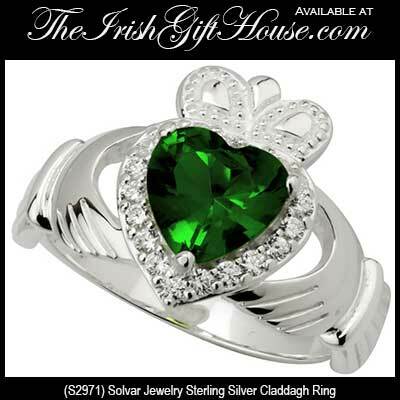 This sterling silver Claddagh ring is available in sizes 5 through 10, in full sizes only.